the Grandy family has been growing the finest quality produce on the shores of the Currituck Sound, and the family tradition continues today. Owned and operated by Julie and William Grandy, the Seaside Farm Market located at the corner of the TimBuck II shopping center in Corolla NC, is where you’ll find the best gifts nature has to offer. The Seaside Farm Market has a complete selection of local, in-season produce including sweet corn, vine-ripened tomatoes and peaches picked fresh from the tree. 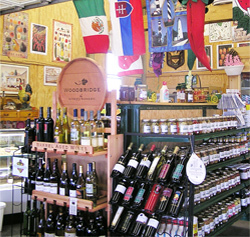 They also carry locally made jams, BBQ and seafood sauces, local farm fresh cheeses and fresh herbs. It’s truly one stop shopping here as you can also find fresh seafood, local wine and beer. Stop on in! When You Visit Corolla NC, Visit Seaside Farm Market... Where the Land Meets the Sea! For more than 100 years the Grandy family has been growing the finest quality produce on the shores of the Currituck Sound, and the family tradition continues today. 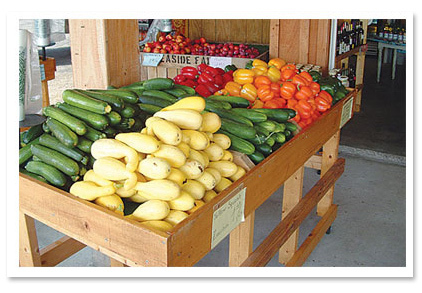 Visit Seaside Farm Market to sample the their fresh, local produce. Tomatoes, Corn, Zucchini, Squash, Yellow Squash, Cucumbers, Bell Peppers, Onions, Eggplant, Snap Beans (green beans), Watermelon, Cantaloupe and More! 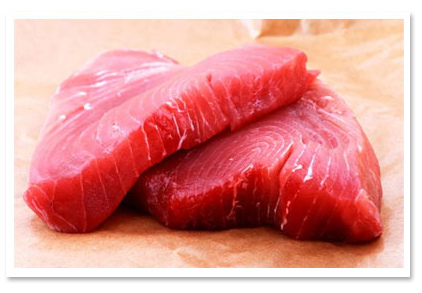 Seaside Farm Market is your source for the freshest Outer Banks seafood, always from local sources whenever a quality, in-season product is available. Need a recipe? Ask us, we’ve got ’em. 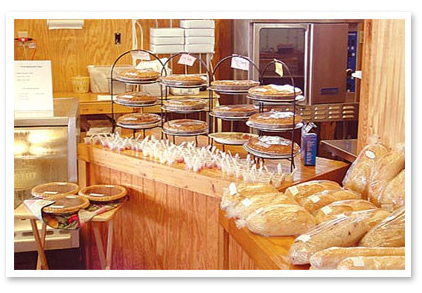 Seaside Farm Market is the place for delicious pies, scones, cookies, a variety of breads and other baked items. And our famous fudge is made right here in the shop.